A modernized version of the Russian strategic bomber Tu-160 will be equipped with several types of new missiles, according to the country's Deputy Defense Minister Yuri Borisov. Several types of new missiles are now being developed for a modernized version of the Russian Tu-160 strategic bomber; the plane, dubbed the Tu-160M2, will also be equipped with a state-of-the-art engine, the country's Deputy Defense Minister Yuri Borisov told Russia's news agency RIA Novosti. "There will be a spate of such missiles in terms of range and characteristics," Borisov said. 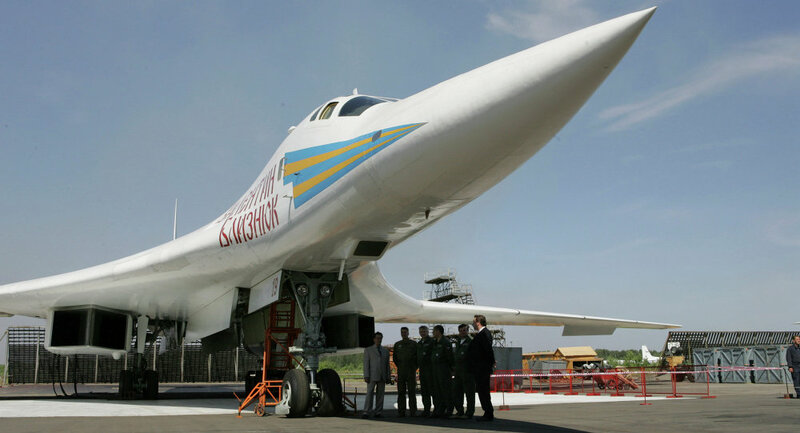 As for the Tu-160M2's flight range, it will be at least a thousand kilometers wider than that of its predecessor, thanks to the updated version of the NK-32 engine, which will be installed in the new bomber, according to Borisov. "This engine has been modernized and its main blocks and components become more efficient. On the whole, it has better endurance characteristics, which adds to the new bomber's range, increasing it by one thousands kilometers as compared with the existing version," Borisov said. He added that the production of the Tu-160M2 will begin in 2023 and that in this connection, the implementation of the PAK-DA project related to the prospective aviation system for long-range aviation will be "a little bit" off-schedule. The revival of the production of this bomber was announced by the Russian Defense Minister in April 2015. The Tu-160M2's advanced equipment will make it possible to increase its effectiveness by more than two-fold as compared to the old version.